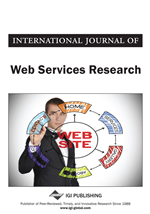 This paper describes a service-oriented solution framework designed for Internet banking in financial services. A pragmatic approach is developed to help migrate conventional n-tier e-commerce systems to a service-oriented computing paradigm, composed of Service-Oriented Architecture (SOA), Integration (SOI), Process (SOP), and Management (SOM). This comprehensive framework comprises Service Patterns, Architecture Process, Hybrid Methodology, Service-Oriented Enterprise Model, and Solution Platform. E-business patterns are applied to categorize diverse online services, which form the baseline for subsequent selection justifications of appropriate technologies, products/tools, and infrastructure. A multi-level architecture process is developed to cope with the architecture complexity in a disciplined way. Furthermore, a hybrid methodology is designed to leverage the benefits of both top-down and bottom-up approaches, in which a converging layer is conceived to incorporate the latest technologies such as portal, process orchestration, Web services, service aggregations, business rule engine, and so forth. In the enterprise model, common business functionalities are built as shared services to be reused across lines of business as well as delivery channels, and the Internet channel-specific SOA is defined by applying the hybrid methodology. Finally, a holistic solution platform is introduced to address the key design artifacts in the implementation of service-oriented solutions. Challenges of conflicting specifications and immature cutting-edge technologies are also discussed in the context.